Today we are sharing our post-launch development roadmap beginning with Update 1, which will plan to go live next week. Our goal is to address the biggest issues brought up by the community and to improve the overall quality of the game. We have also included our plans for Update 2, which will go live early next year. Further details and timing are outlined below. 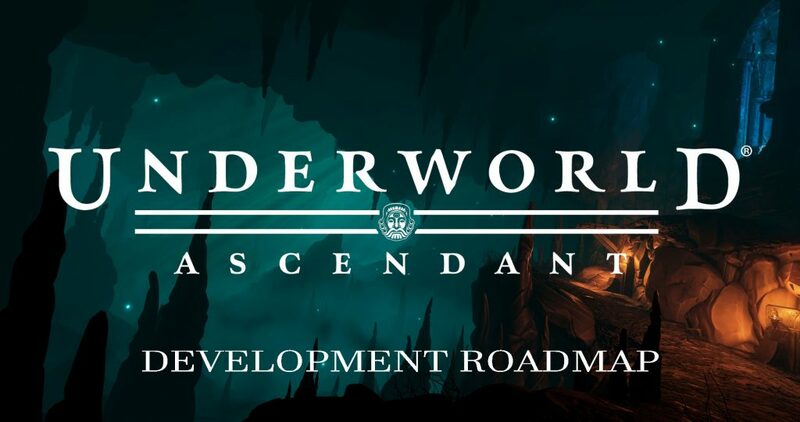 We’ve completely overhauled Underworld Ascendant’s save game system based on player feedback. The goal is to ensure your efforts as you adventure through the Abyss, particularly during quests, are saved. Under this new system, you will be able to save your progress anywhere in the game (with a couple exceptions) from the Pause Menu. When you save a game, you will retain your location in a level, whatever steps you’ve completed toward a quest and all items and equipment you’ve collected in your inventory. Enemy positions, health and more will also be saved. A full description can be found in the Save Game Details section at the end of this post. We have refined Combat to make it more dynamic and responsive and to add more variety to attacks. First, we are changing the way directional attacks are being handled. Now, every player will be provided with these attacks at the beginning of the game. Instead of using skill points to unlock these attacks, skill points will now make these attacks more powerful. A balance pass on weapon damage and enemy health has been made with an aim to making combat more engaging, particularly in early levels. Some initial improvements to AI have been implemented and we have plans for bigger updates in the new year. Many immersion-breaking holes and seams have been removed and levels have more refined and more varied enemy populations.. Pluto’s Gate and Upper Eberus have received a number of enhancements to improve playability and make them feel more “lived in”. You’ll also see some weapon and loot changes in this update. An item’s wear will now be more apparent, with weapons showing damage wear over time as well as appearing broken when they have reached that state. We improved loot drops in the world as well as weapon availability in Aelita’s shop. In update 1.03 we made changes to improve player movement. This included the addition of swimming, reduced keyboard and mouse input lag and better transitions into and out of water. Those fixes along with Update 1’s increased base player speed has helped make player movement more responsive and more fluid. We’ll give more details in the update Build Notes next week, but some highlights include saved key binding preferences, better visualization of which skills have been learned, the ability to learn skills sooner and more. Our overall goal for Update 2 next year is to continue to make the game more interesting, more fun, easier to understand, and more polished. We will continue to improve things like combat, AI and levels. We will also focus efforts on player progression, adding variety to the gameplay and improving the overall player journey through the course of the game. Most importantly, we will continue to gather feedback from our fans and players after Update 1 to see other areas where we can continue to improve the game. We will continue to make improvements to combat to make it more fun and engaging—please continue to give us detailed feedback as you play! On the AI front, we’re planning to improve behavior, responsiveness, communication to players and navigation. Our goal is to make enemy behavior more interesting and more natural to players. We are evaluating ways to improve the overall player experience during a full play-through to better communicate requirements to complete the game and also reduce the complexity around what players are supposed to be doing to stop Typhon. We will continue to look at improvements to levels, including adding more enemies, environmental storytelling and potentially streamlining the layout of Marcaul. Our goal is to make quests more interesting and less repetitive. We are also scoping out improvements to player experience in the beginning of the game through enhancements to Pluto’s Gate and Saurian’s Challenge to expose players to fun gameplay elements more quickly. There you have it, our roadmap for the next two updates. Beyond that, our plans will take shape as we gather more feedback from the community and evaluate the game’s progress. If you have constructive feedback on Update 1, please check out the discussion here. The following are the current build notes for the Update 1 Save System. Please note that some details may change between now and when it goes live. You will be able to save your progress anywhere in the game from the Pause Menu. The new system will save and restore the current state of the quest, including the required items and enemies as necessary. If a player saves after finishing objectives, this objective will be saved. Saving is disabled when the player is off the ground or within 15 meters from enemies. We are still working on saving in Marcaul. It currently does not save player position or world state, but does save inventory, stash, skill point changes, etc. in addition to saving quests completed (as a result of Hap sending you to the Midnight Forum), but you will start at the Ring of Portals when you re-load.